"Through the incorporation of technology into Beth’s classroom and lab activities, students gain invaluable technology skills that they’ll carry with them well beyond high school. Beyond gleaning general computing skills, students will learn about the use of the Google applications, data collection and analysis, digital graphing applications, simulations, spreadsheets, and slow-motion video analysis." Congratulations to Elizabeth Carpenter, our December 2017 Featured Teacher. 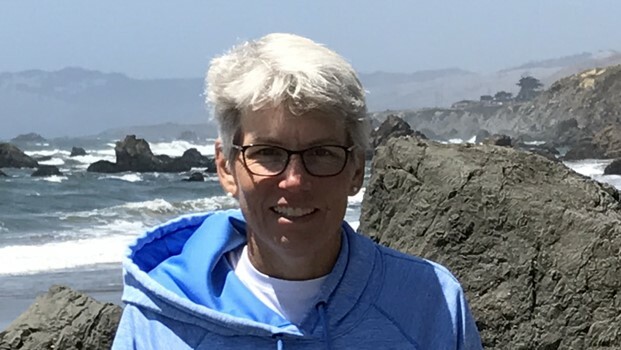 Beth is a veteran educator with 26 years of experience, and has spent the past 19 years teaching physics to juniors and seniors in the Chittenango Central School District. Beth has leveraged technology in her classroom by fully digitizing her students’ lab reporting. Through the use of iPads and peripheral sensors connected to computers, students can gather data and produce digital lab reports. They can also use the camera and other apps to collect information from the lab activities, and then collate that information into a lab report that is turned in through Google Classroom. Beth has also implemented robotic technology in her lab, using Ozobots (coding robots) to demonstrate vectors and motion. In one experiment, students measured the speed at which one these bots read various codes, then used that information (and a map) to determine the predicted time for the bot to traverse a designated path. By incorporating technology into classroom and lab activities, Beth's students gain invaluable skills that they’ll carry with them well beyond high school. Beyond absorbing general computing skills, students learn about the use of the Google applications, data collection and analysis, digital graphing applications, simulations, spreadsheets, and slow-motion video analysis. Robotics Team – In what is now the fifth year of the program, students build and program robots to operate both autonomously and under driver control. Teams can participate in local tournaments, and have qualified for the VEX Robotics Competition every year. Science Olympiad Team – Beth has coached this team since its inception 19 years ago, and has seen it qualify for the New York State Science Olympiad tournament in each of the last two years. Competitions such as this present students with many challenges, requiring the use of technology both past and present to solve. Bear Den Video Crew – This was launched two years ago, following the installation of the video board in the stadium. Students operate both the board and the requisite video equipment, providing instant replay during football, soccer, lacrosse and track events. Last year, the crew began broadcasting live sporting events, and tried its hand at producing new features, such as Sports Shorts and Ben Den News (BDN) programming. The crew’s YouTube channel has produced dozens of videos, and currently has over 22,000 views! Check out the Nangotube page to learn more about the team.